Ivan Stamatovski is the Founder & CTO of Easy Aerial Inc, a New York Founder Institute portfolio company that has successfully raised $1.6M in funding to date. Stamatovski’s success has occurred over several major milestones. His passion for entrepreneurship started early in high school, and today Easy Aerial includes a record-breaking lineup of patented drones, some of which are even being eyed for applications by the US government. Stamatovski came to the United States over a decade ago with a dream to innovate in building flying robots that could better the world. With his background in industrial design and digital marketing, he has been able to bring his vision to life. Stamatovski launched his first drone design, Easy Drone, on Kickstarter with the help of crowdfunding, raising over $84,000 from 2014 to 2015. Easy Aerial’s 'Easy Drone' boasted the longest flight time for a personal quadcopter drone at the time of its release, able to operate continuously for a staggering 45 minutes non-stop. Just a few years back before Stamatovski released his industry-leading design, most flying robots were expensive, clunky, and required extensive training for user operation. Traditional drones were designed for predominantly military use, and had a high technical bar for operation. Stamatovski set out to create an enhanced flying robot that was autonomous and flexible, and useful in many more use cases than just military applications. His flagship drone, the Easy Drone, offered a new kind of drone, developed for practical applications like perimeter security. Unlike earlier drone models, the Easy Drone was light, affordable and can be operated unmanned. 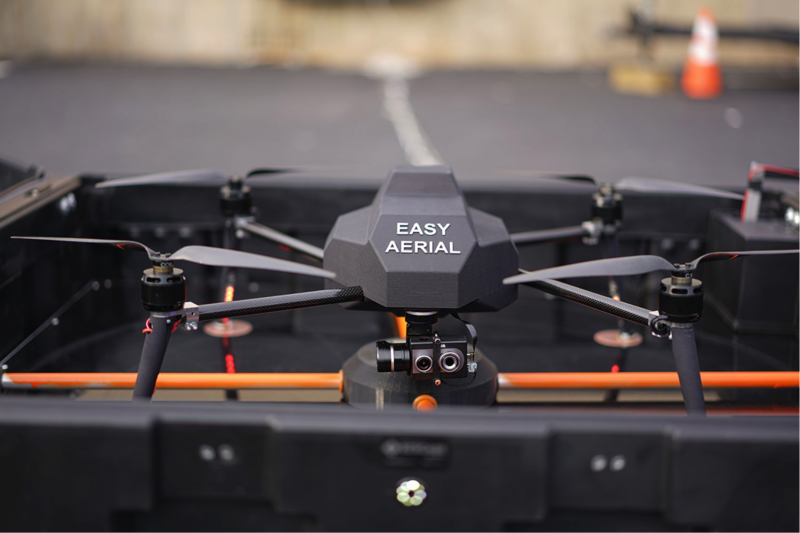 Upon the smash-hit success of Stamatovski’s innovative unmanned drone design, his company Easy Aerial gained the momentum it needed to become a mainstay in the drone industry. The company has since evolved to specifically serve the perimeter security market, which has a major need for unmanned aerial monitoring systems that offer ease of use, affordability, and long flight times. Today, Easy Aerial is a powerful leader in perimeter security, offering a full lineup of patented drone systems that fly up to 50 minutes continuously. Easy Aerial’s turnkey security solutions are changing the world of unmanned aerial vehicles, just as Stamatovski set out to do. The smart, autonomous drones save extensive energy when compared to traditional security drone models, and according to research, demand for drones in the energy sector itself will explode in the coming years, to $4.5B by 2025. It’s no wonder that Easy Aerial is being considered by the US energy sector, which has particular interests in deploying drones for unmanned inspection purposes. Easy Aerial drones could one day be deployed across the country, helping to keep regions safe that never before had any kind of surveillance protection. Easy Aerial unmanned drones also offer the strong potential to save lives. Security and inspection workers are often subjected to risky environments. Unmanned drones help protect security workers from dangerous conditions by accurately monitoring areas that otherwise would require human inspection. Stamatovski and his team also see huge growth on the horizon in other industries and applications, from stunning aerial video production to precision agricultural monitoring. Unmanned aerial monitoring systems have even been first on the scene to provide key support vehicles during disasters like Hurricane Harvey. I believe that smart flying robots can bring an incredible amount of good to humanity. 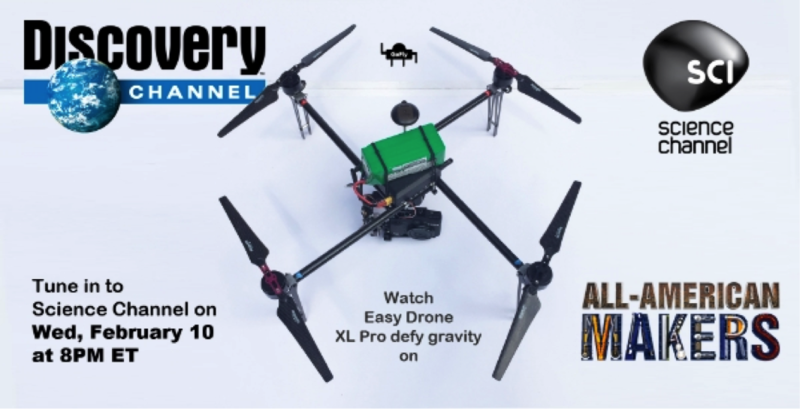 Keep an eye on Easy Aerial as the company continues to amplify their mission to make drones more accessible and affordable.